Arsenal+ is a complete overhaul mod, adding new equipment, sectors, factions, ships, and more! What you see here is my attempt at an English version. 1. Downloads and details about the various mods, addons, etc. Contains the overhaul's art and music assets. Essential. 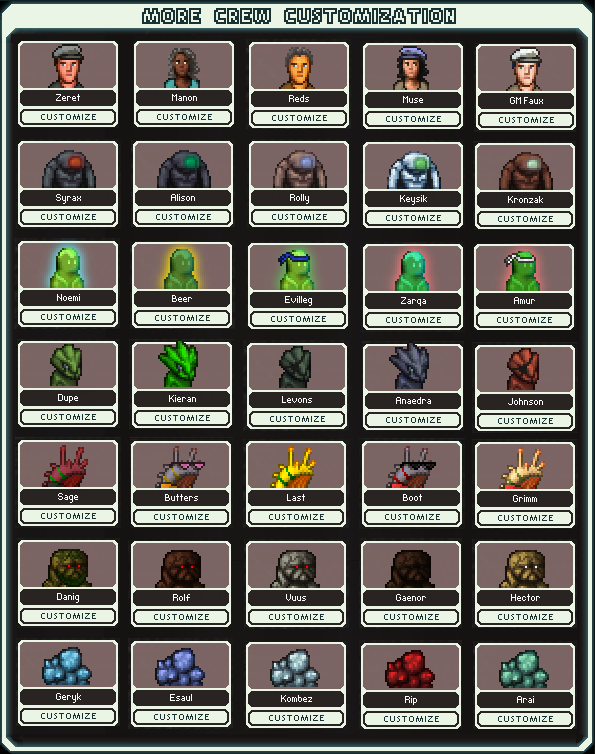 Contains the overhaul's base data, ship packs and addons. You will need a file extractor to extract this .7z file, such as 7-Zip or WinRAR (both are free, winrar will keep reminding you to buy the license but you don't need to). I'm planning to update this whenever I can, then announce when something major has been updated, similar to the download for the sM Polish Kit. Contains the overhaul's core data assets. Essential. Replaces every player ship with a new fleet of ships, all with custom hulls and different playstyles. Replaces every player ship with large ships, each with amazing custom art and different playstyles. Take a look at the room interiors... you may notice something different about the manning stations. Should be used after the base Arsenal+ mod. Technically can be used alongside the A+ Difficulty as only the bosses overwrite each other, but they're supposed to be separate. Should be used after the base Arsenal+ mod. Technically can be used alongside the A- Difficulty as only the bosses overwrite each other, but they're supposed to be separate. Adds an "infinite" element to Arsenal+, but not the same kind you may be used to from CE... "Your ship is equipped with an advanced navigation system: every time you jump into a new sector, your piloting will be upgraded. After upgrading to level 8, you can jump into the remote sectors of the Galaxy, or go to the Federation Base to complete your mission." Thus, the remote sectors will have the same difficulty as the 7th sector. Patch after all ship mods, otherwise progression may not work correctly. Inspired by Captain's Remix from the sM Polish Kit, light lasers now also damage systems. Compared Arsenal+, Captain's Edition and Captain's Remix to figure out how the light lasers should be changed. In general, most of the sMPK changes carried over: light lasers do less shield piercing, cost more and are rarer. However, the changes aren't exactly the same. As such, and as there's a different kind of balance in Arsenal+, this mod is still experimental. It has come to my attention that ship mods don't exactly play correctly when used with Arsenal+ because Arsenal+ redefines vanilla blueprints as other weapons, leading to problems. This mod is here to fix those problems so that the ships have the weapons and drones they were supposed to have. Patch after non-Arsenal+ ship mods, but before Arsenal+ Ship Packs. Generates a randomized player ship pack. The 'classic random' mode sports a balanced randomization, whereas 'full random' turns off all the safeties. Can change level of ship strength, use colorful shields, and create auto ships. 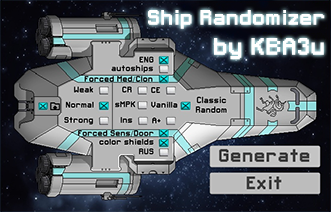 The generator is compatible with other overhauls and vanilla, so when generating ships for Arsenal+ select the A+ box. Arsenal Randtrel Ship Generator no longer being updated. Link still here for posterity or should you so desire. The generator has a bug in weapon power levels, and is less customizable and balanced than the other tool above. Use this one at your own risk. Generates a randomized flagship mod file. The generation tool originally created by RannL/Sleeper Service has been specifically adapted for Arsenal+. The real credit for most of the mod's great artwork and ideas goes to the creators: Alexander "bamalf" Alferov, Konstantin "KBA3u" Morozov, Mstislav "Al`Hazrad" Sokolov, and "Luminis Insigne". Arsenal+ includes assets from other mods that were taken without permission, so this is just a warning so everyone knows. It was never my idea to take anything without permission, blame the original creators (though, I'm sure they only wanted to make this the best overhaul possible by compiling great mods from different places). But I guess since I'm the emissary to English speakers, the burden is now mine as well. Granted signifies mods whose creators know and are fine with their use in Arsenal+. Unknown signifies mods whose creators are unaware of their use in Arsenal+. Pending signifies mods whose creators specified they don't want their mods part of Arsenal+, but have not yet been removed from the mod. Assets from mods in this category will be removed/replaced as soon as possible. Revoked signifies mods which no longer have their assets within Arsenal+, as proof that we will respect creators' wishes. Captain's Edition is licensed under the Creative Commons Attribution-NonCommercial-ShareAlike 3.0 Unported License. To view a copy of this license, visit https://creativecommons.org/licenses/by-nc-sa/3.0/. 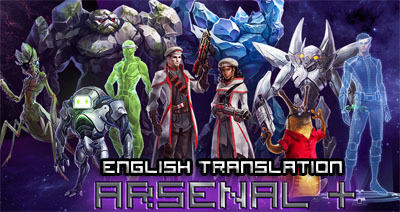 What is Arsenal+ English Translation? Arsenal+ was originally solely a Russian-only mod. No English whatsoever. After hearing about it here, and noticing it's an overhaul on the scale of CE -- I really wanted to play it. Despite the fact I'm not a speaker of Russian, it's been my goal to make this mod playable to English speakers. And it finally is. Every single line of text that was Russian is now English. I've used Google Translate, Reverso Context, and Yandex Translator to get an idea of the Russian, sometimes looking at the vanilla files, and using common sense and knowledge of the FTL universe as context to correct translation errors. If the 'online translators' make you think that this is a half-baked attempt at an English version, believe me it's not. I've poured countless hours into making this read as well as possible. And hey, if something doesn't read well, tell me! What have I done besides translation? I've changed a lot of the translated Russian to what in my mind sounds a lot better, and is what's best for the mod. I've also added some custom parts to certain events, created some new addons and done my best to make events and the like better. Enough history, tell me about this overhaul! Arsenal+ adds several new enemy factions, with the key difference between them their equipment. For example: Order, Slig and Pirate ships don't share most, if any, of their equipment with each other. But I won't go into too much detail. Arsenal+ adds loads of new sectors: a sector type or two for each new faction, and also a few other new sectors. These new sectors have many many new events, and there are also new lots of new events and event changes across the board. But I won't list any here, where's the surprise in that? A new crew type and lots of crew customization. Lots of new weapons and drones! So yeah... there's lots of stuff this overhaul brings to the table. Try it out and see what you think (this mod is not for everyone). Download links and individual mod file details at the top of the post. Russian Arsenal+ page wrote: !!! ATTENTION !!! Error "Patching failed: java.io.FileNotFoundException:. \ Backup \ data.dat.bak (The system can not find the specified path)" indicates missing backup files. Just create a folder called backup in the root of the game, and they will appear. Also, the storage profile may be corrupted, delete it and disable saving to the Steam cloud. The download above seems like it is the same as Large Address Aware, basically FTL needs more memory to run. - buffed anti-drones' projectile speed. the okay ones are slightly better and the good ones are better. --- e.g. 2 fuel for 11 drone parts or 2 missiles for 22 scrap will no longer appear --> now more "fine-tuned"
- changed 'misc.xml.rawappend' to 'text_misc.xml.append' as per FTL update and SMM update. fixed compatibility errors that ensued. - used the new blueprint removal ability to remove the special storage box from player inventory at its destination. had to split in an event in two in order for there not to be odd shenanigans. - used the new blueprint removal ability to remove a broken weapon from player inventory at its destination. had to split events in two for the same reason as above. - changed title of the Border Sector from 'Border Sector' to 'The Border', feels more fitting than simply seeing "Border" on the sector map. 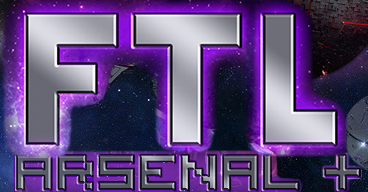 since this is for FTL 1.5 and not 1.6, creating different versions of the title between the sector map and when in the sector are not possible, limiting control of what the title can be. - the enemy flashbang weapons and drones no longer have the annoying whine at the end, instead using the short sound effect the player flashbang stuff uses. now, the whining sound is almost completely gone... it may show up in one special place ;) apart from that, if you really want the annoying whine for some unknown reason (I cannot possibly fathom why), the audio file and <sound> is still there, set it from 'flashbangPlayer' to 'flashbang' in the weaponBlueprint. ---- therefore added something to the tip box of the heal bomb about that it "can be used on your own ship"
-- a new starting game "TIP"
- added the rest of the HAL sector texts I remembered I forgot..
- added some differences to the Russian version slightly in the form of events and textLists. slightly, to make more sense. - touched up on all of the weapon descriptions to read a lot better, added some flavor text, and more details on some of the weapons. - added in a vast number of edits to the various weapons to make them read better. I changed them from strict translations to neater and more descriptive versions. - added an image that overwrites the main menu image, reflecting the current version number. I know that makes this not completely just data, but it makes it bigger by a couple MB's, which is next to nothing. -- music for the Border Sector is now different, with proper battle and explore themes. -- there is now a level of support for AI ships, in that the game won't crash in the crew loss events with no crew. 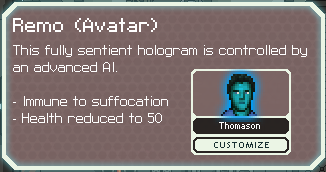 also changed the socialize option with something extra only for AI ships without crew. - translated a bunch of events, mostly fully, going through all the possible choices and events. 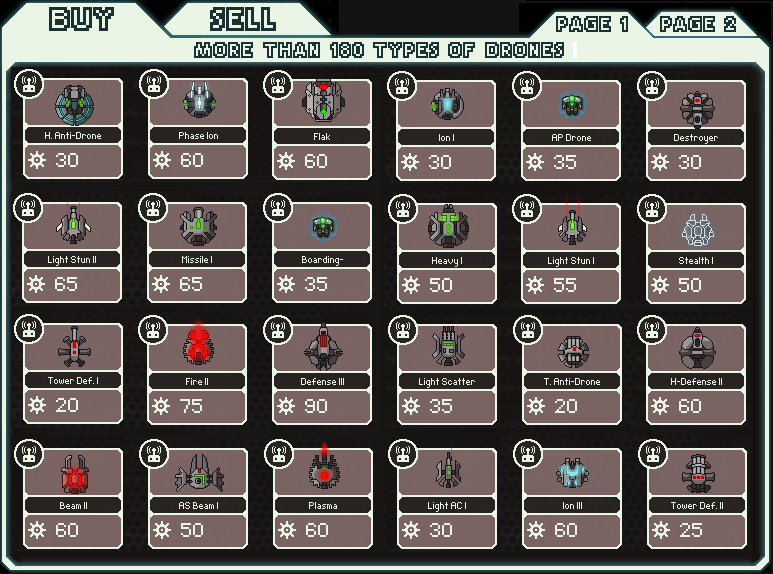 -- couple new weapons as well as rebalance of weapons, drones, crew cost, etc. - events like terraform, rock slug argument, and others from vanilla restored to vanilla text. note that just because the text is mostly the same, the events are structured a little bit differently, in terms of rewards, prices, damage, etc. so I couldn't just copy the entire vanilla file into the Arsenal+ version. - turns out I left a few things untranslated, so those were translated, weapons ranging from flaks to light lasers and more. 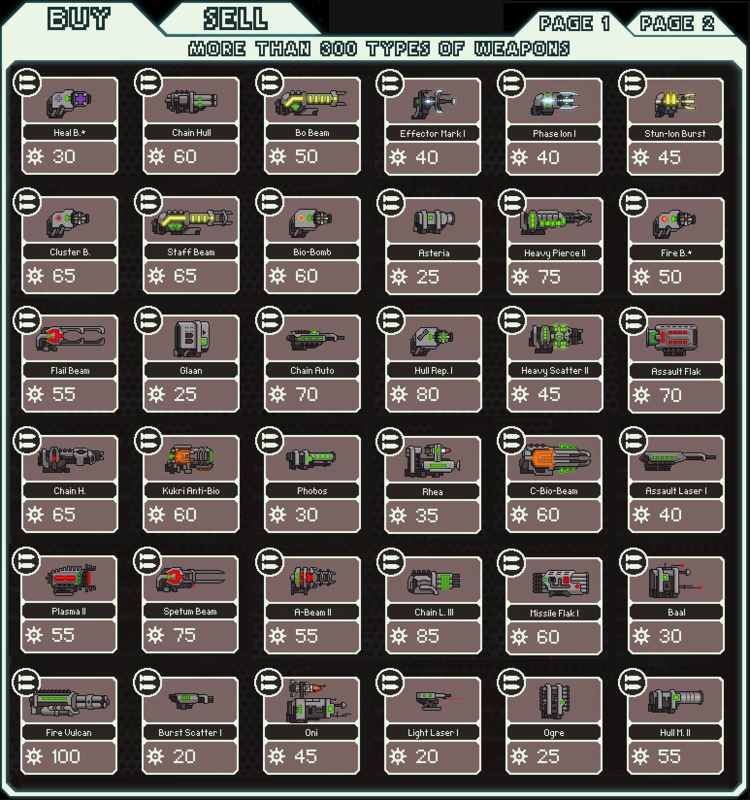 - all weapons and drones (except boss) in blueprints.xml have been translated. there might be more in dlcBlueprints.xml. I doubt it but haven't checked that yet. - some names have been translated. my fingers got tired after pressing Ctrl+C. Ctrl+V so frequently as there are quite a number of names there. - still need to polish that stuff, esp. artillery weapons and augmentations. - translated another chunk of weapons, ranging from chain weaponry to flak to missiles to beams. - first dialog box with crew members while waiting for FTL to charge translated. - removed the 'fonts' folder. --- this sounds like nothing but if you don't update, placing the resource pack after the base data will cause problems as the old font will overwrite the new, and is missing support for some special characters. -- for some reason, most of the Slig ship images broke. not non-interlaced problem, but to fix these ones I did the same thing, so they should appear correctly as before. -- changed all mp3 files to either ogg or wav (ogg for music, wav for effects), since mp3 files aren't supported in new .dat format. filenames of new ogg music files indicate quality. -- without access to changing the new font files, used an existing vanilla font to replace the vanilla font used for weapon 'short' names (visible when you see their icons or on the main HUD) so it is closer to the style it was before, as the vanilla letters are too big and take up too much space. if the vanilla font was left in, the names would need to be shortened, and would make it harder to tell what the weapon is. - bamalf told me I was missing some stuff, and indeed I was! - probably should remove the main_menu image since now the data file contains an updated copy reflecting the version number of the data, but it's there just in case, so that the main menu image is different to begin with. might be removed in a subsequent update. - bamalf created a main menu screen with my username on it specifically for this mod. thanks! - gave the 'Black Pearl' ship its proper class, "Mantis Cruiser' instead of 'Mantis', shows up when selecting a ship in the hangar from the list, and also in the ship high score screen for the Black Pearl. - changed "prophets" to "rocks"
- changed interlaced image files to non-interlaced, since interlaced image files are no longer supported in new .dat format, so images should now appear correctly, no missing resource warnings. - fixed a translation error on the description of the Zoltan C, "Cherry"
- instead of just rewards in the default destroyed and deadCrew event outcomes being slightly less, auto rewards across ALL events are decreased by 1 level, making it more challenging than before. - added back the nebula event that was missing, with a slight change. requires arsenal+ english 1.1 or higher. - removed events from the remote sector possible events that simply don't exist at all. - the Chain Vulcan should now should up as the Vulcan Gatling Laser, not a Chain Laser. - changed the dummy text that appears in the tooltip for the player artillery system from description of artillery beam to something very general. compatible with both FTL 1.5.13 and 1.6 so I won't have to update this again for that. oh cool you at least glanced at the changelogs! Last edited by mr_easy_money on Sat Dec 15, 2018 1:33 am, edited 188 times in total. A good start! Good luck with the translation! And thank you for errors found, it will be corrected in the nearest update. EDIT: I do not understand what you mean, talking about ".ftl.zip", there is just ".ftl"
bamalf wrote: EDIT: I do not understand what you mean, talking about ".ftl.zip", there is just ".ftl"
yeah I don't know either. I think it's just Mozilla Firefox messing with me, or maybe it's because I didn't have file extensions viewable. Forget about that. Also, the download link is back. I'll be constantly updating the Changelog every time I make some progress on the translation. might not be the best way to do it since I have to upload that 1/4 GB file every time, but I'll just stick with it for now. when I patch into SMM I get this error. EDIT: I'll try reinstalling SMM and FTL or something. something might be corrupted on my end. Are you sure you completely reinstalled FTL? Like, totally removed both FTL and SMM .dat backups and got it again (important to get rid of it all at the same time or the backups may get back in)? No other ideas but corrupted/altered data files. ...try fully reinstalling my game and redownload my mod manager. Maybe dat will help. It worked. 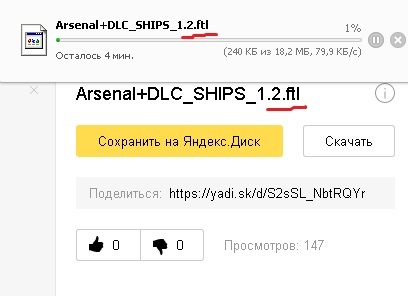 Looks like, I've got some wrong game files selected, cuz I have multiple FTLs installed. You must use cyrillic windows-1251 encoding with russian fonts, not utf-8. Uhm it appears I have accidentally messed up your opening post, by clicking edit instead of quote. I tried to revert that edit, but couldn't find the original post in neither my browser history or the moderator logs. I contacted Isla for this to be fixed. Again, I'm really sorry, I hope the post gets restored shortly, but if you still have access to the original post you can also restore it yourself before that. Sorry for the trouble. erhrm, no, I don't have a draft saved, so I can't restore it myself. if I edit the page now, will a subsequent restore not work? I can put the download links back up there. bamalf wrote: You must use cyrillic windows-1251 encoding with russian fonts, not utf-8. so I reinstalled everything, which didn't fix anything. so I looked at the log files of SMM. when I ran the version that worked fine at every file that ended in .xml.rawclobber worked. when I ran the version that keeps breaking, it broke right after events_zoltan.xml.rawclobber. now I'm not exactly sure what a rawclobber file type is, just that it makes the text raw?? for SMM or something. INFO ModsScanThread - Background hashing finished. INFO ModsScanThread - Background metadata caching finished. so there's a problem between events_zoltan and nameEvents.xml? or am I just reading this all wrong. Your misc.xml file is encoded in utf-8 instead win-1251. Comment <?xml version="1.0" encoding="utf-8"?> in first string is irrelevant.